Written on: Nov 17, 2018 by YAS. This article received 7 kudus and has been read 10,612 times. Kilimanjaro, the highest mountain in Africa, attracts an increasing number of hopeful climbers each year. As of 2017, an estimated 60,000 people attempt to summit Kilimanjaro each year, making it Tanzania’s top tourist attraction 1. Technical climbing skills aren’t needed for most routes and, while the summit is at 5895m/19340ft, the trek commences at 4900m, for a total ascent of around 1,100m/3300ft. Despite the short ascent, the summit is at extreme altitude. Each year, over 1,000 people must be evacuated 2 and an average of seven people die, mainly due to high altitude issues. See climbing Kilimanjaro reviews. Manufactured by Teva Pharmaceutical Industries, an Israeli company, and initially approved on July 27, 19533, 125 mg and 250 mg Diamox tablets were originally created to treat patients with glaucoma. 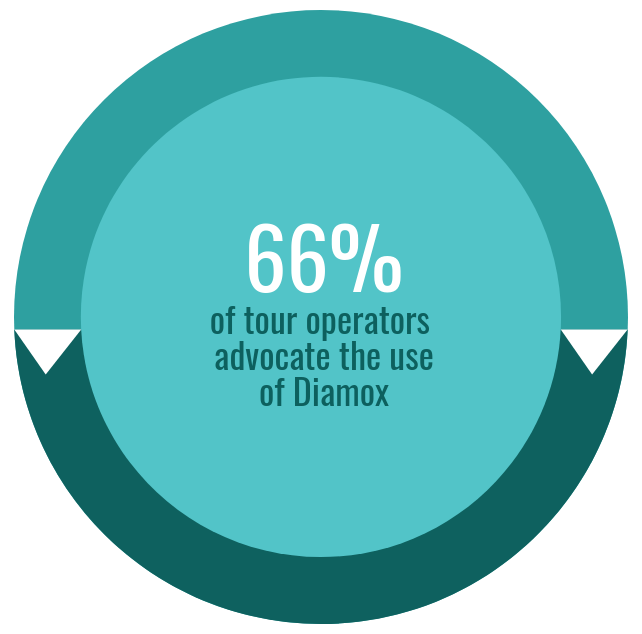 Diamox (acetazolamide) suppresses carbonic anhydrase, and it was soon discovered that these inhibitors have been shown to lessen acute mountain sickness symptoms. A slow-release version, called Diamox Sequels, was also marketed but has since been discontinued 4. 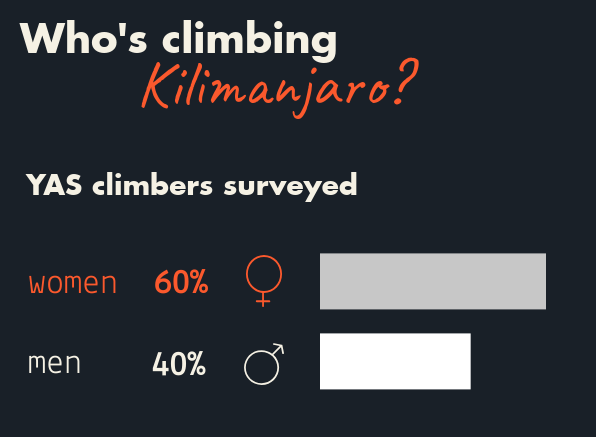 Of the members surveyed, the majority were female. Feedback from one YAS member who climbed this year (2018). Kilimanjaro’s proximity to some of Africa’s top safari destinations: Serengeti, Ngorongoro Crater, Tarangire and Lake Manyara means a safari and a Killi trek holiday can effortlessly be combined into one. Are you considering trekking Kilimanjaro? 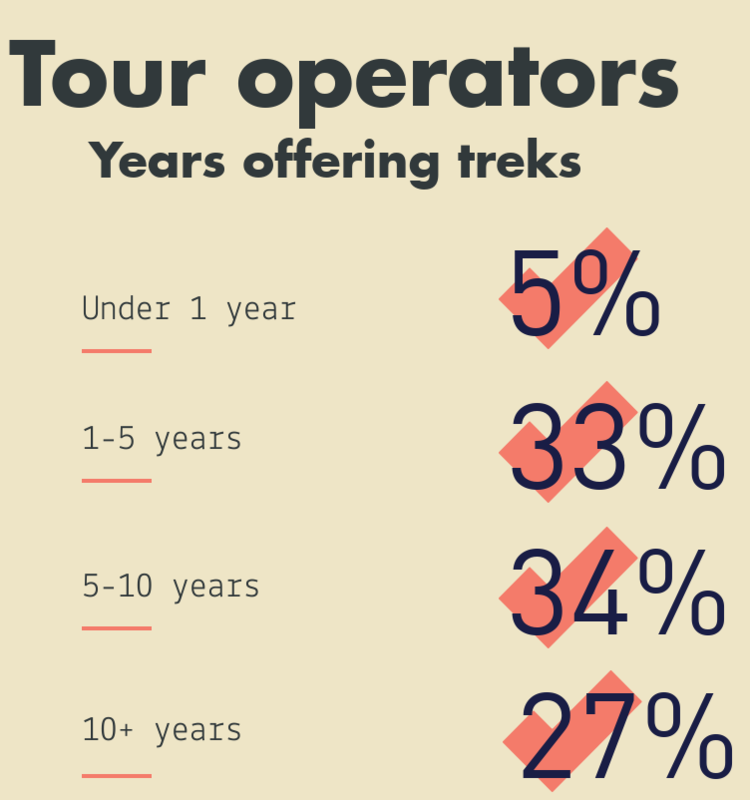 Why not browse packages from over 250 tour operators. For media and press queries, please contact us. Thank you guys for the opportunity. Bantu Pori Journeys - Managing & Operational Director. Thank you both for making this survey a reality! Please do help us by sharing it. First of all, we advice our clients on the routes that they are going to choose, the route with the higher level of acclimatization such as Lemosho,northern circuit and machame route where you climb high and sleep low reduces the chances to get altitude sickness. 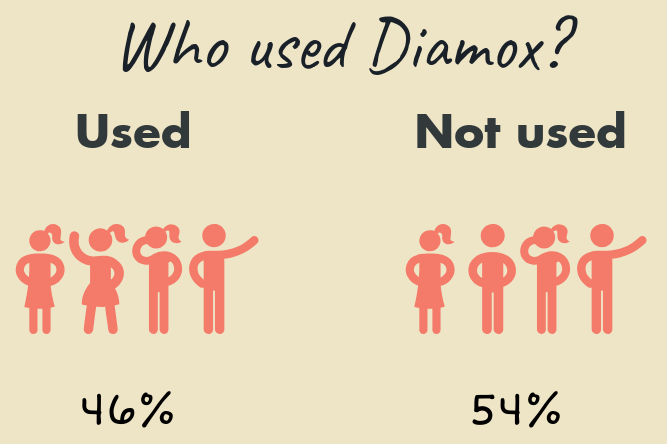 We also advice our clients to use diamox but should make sure that they drink as much as they can(not less that 3 liters of plain water daily) to stay hydrated all the time. Walking slowly (pole pole) helps climbers to cope with the altitude. Cheers!! Jiwe, you were in the survey! Thanks for your help.